Every family has a month that’s filled with birthdays. For the Amos family, July is one of those months. 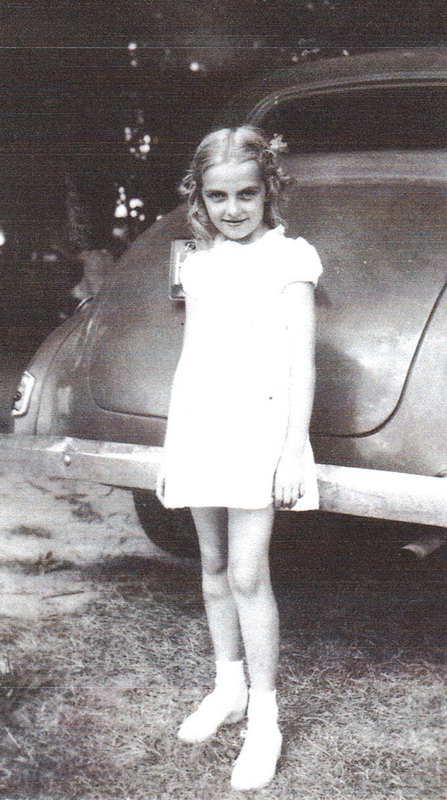 This coming week marks the birth of a very special lady—Coyla Jean McCargar Amos Pfauth. Coyla Jean. That’s such a beautiful name, isn’t it? Even though most of us knew her as Jeanie, a given name so pretty as Coyla Jean is one to be remembered, as is the woman herself. She’s the one who “twisted Bruce’s arm,” as he says, into getting married way back when and having their beautiful children Vicki, Shelley and Scott. 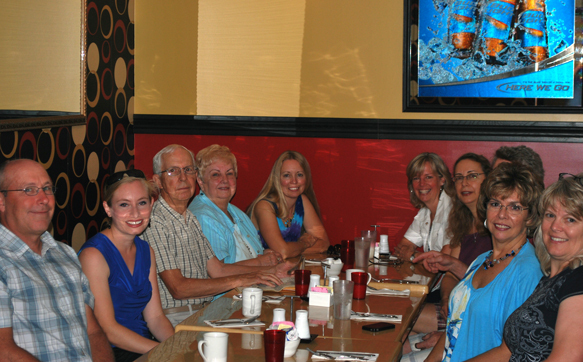 As Vicki and Shelley tell us about their mom, they do so with big disclaimers. “This is what we think we know,” says Shelley. 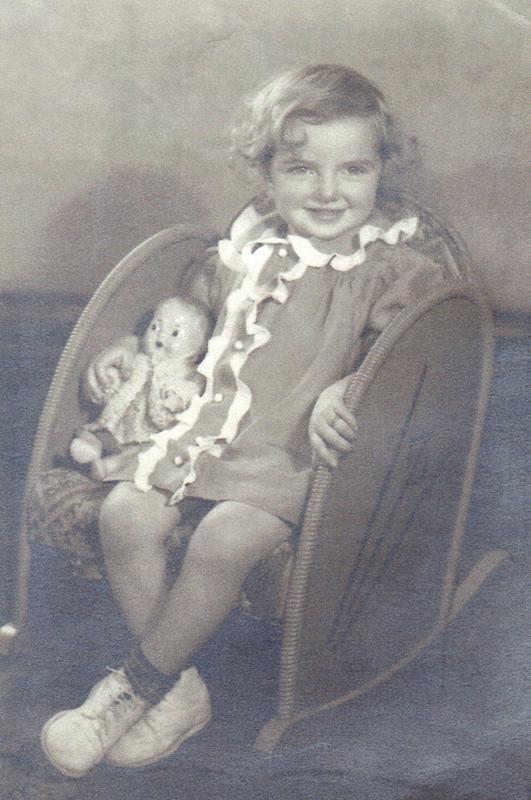 Coyla Jean, or Jeanie, was born in Owosso on July 3, 1934, to Ira and Ruth McCargar. 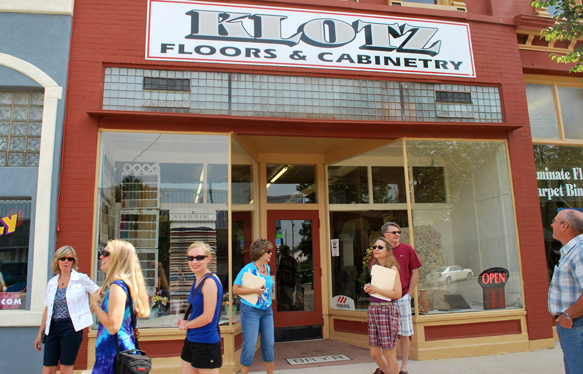 According to Vicki and Shelley, Ira’s family owned mercantile businesses in Owosso and Perry. Later Jeanie would learn that her father remarried and had children. 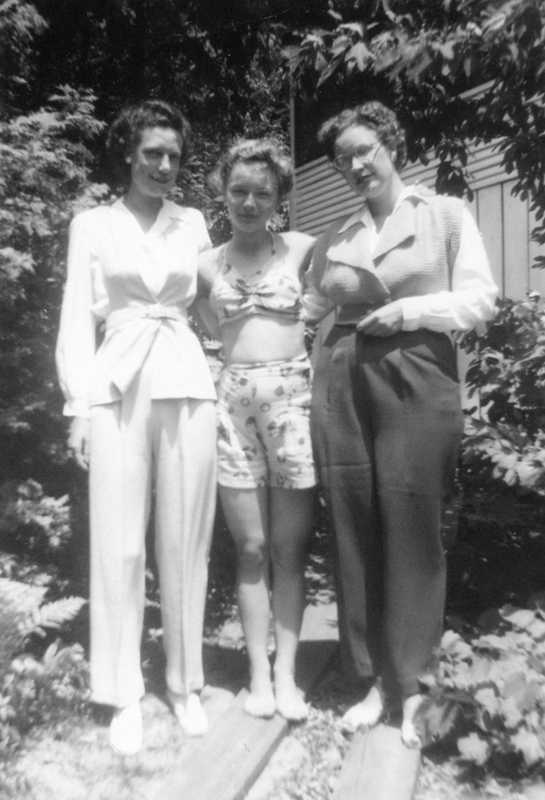 She wanted to meet them, but as far as Vicki and Shelley know, she never did. 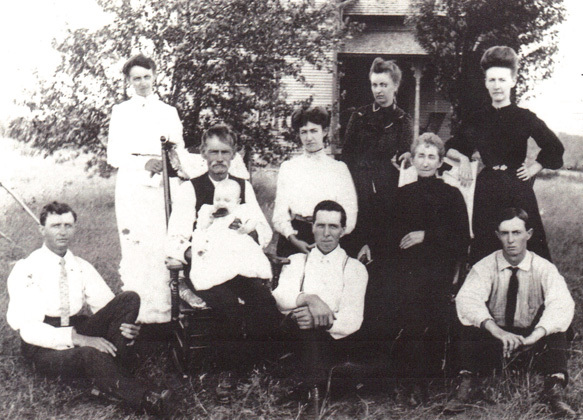 When Jeanie was growing up she lived in the small community of Henderson with her maternal grandparents Phillander P (PP) Bishop and Ida. 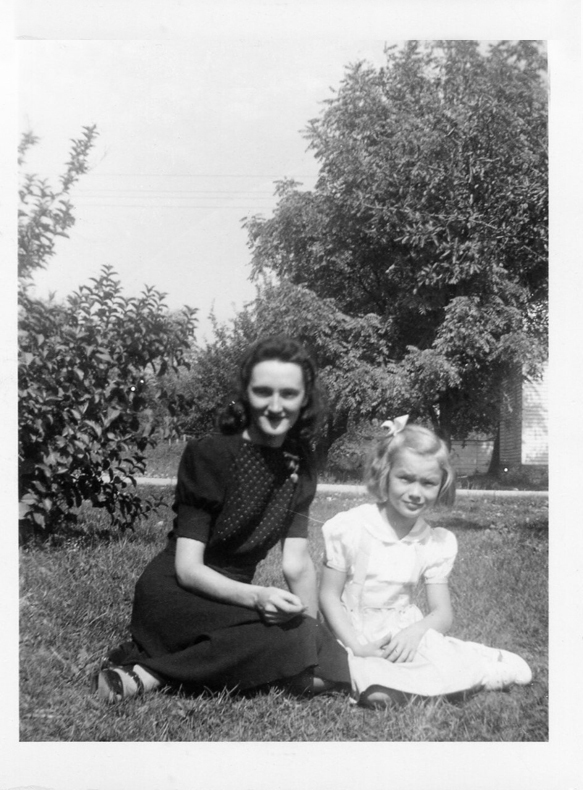 Her mother, as a single parent, worked and lived in Lansing and needed her parents to care for Jeanie. “If all the stories were true, she was a handful for them…always curious, always on the go!” writes Vicki. When Jeanie was 12, something big happened in Henderson. It turned out to be big for her as well. One of the town’s two grocery stores went up for sale and a bookkeeper from Chicago bought it. He shipped his family’s fancy, big city furniture in advance, including a baby grand piano—can you imagine the buzz going ‘round this little town of 250 people? 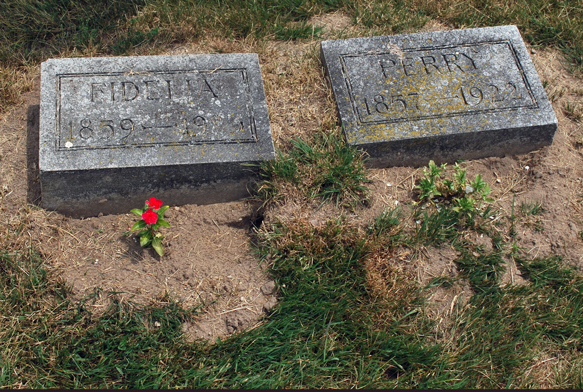 Word also got out he had a daughter Jeanie’s age. Joining the group in front of Larson Grocery and Market are Carol, in the middle; Jeanie, front left; and Carol’s sister Judith, front right. 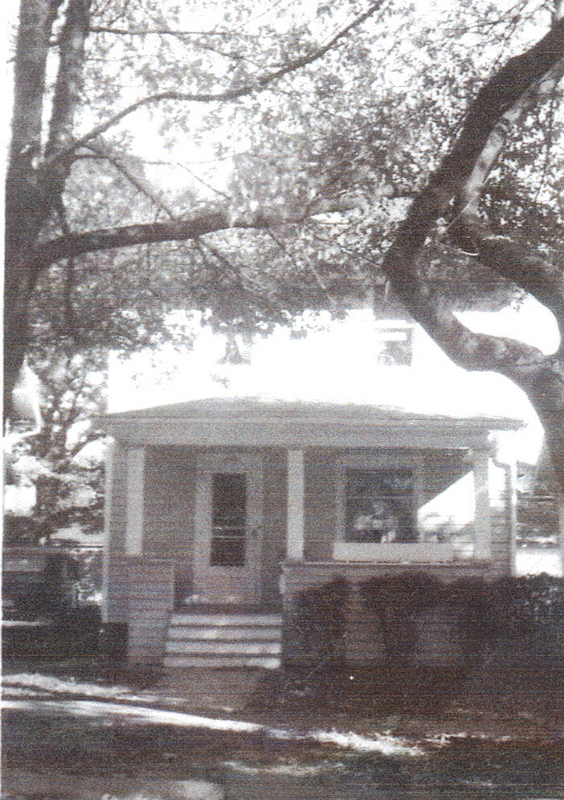 Circa mid-1940s. As the story goes, when the family arrived from Chicago, Jeanie was waiting there on the storefront steps. 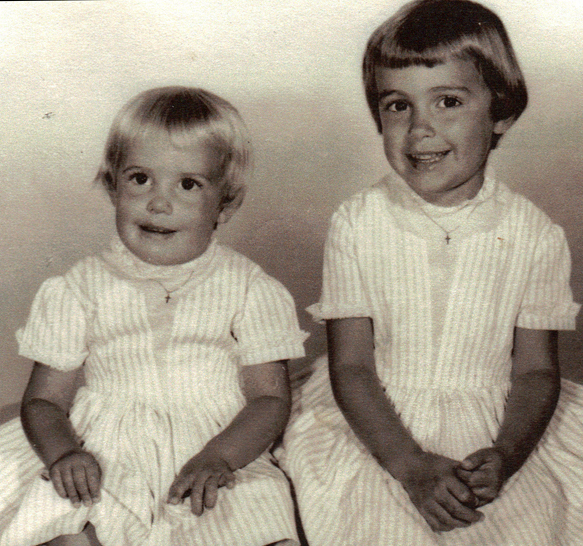 The daughter’s name was Carol, and from then on Jeanie and Carol’s lives were intertwined. But let’s not jump too far ahead. According to Shelley, when Jeanie was in high school she started taking the train to Lansing on weekends and would show up at her mother’s apartment. Her mother would send her back to her grandparents in Henderson. Jeanie would show up again. 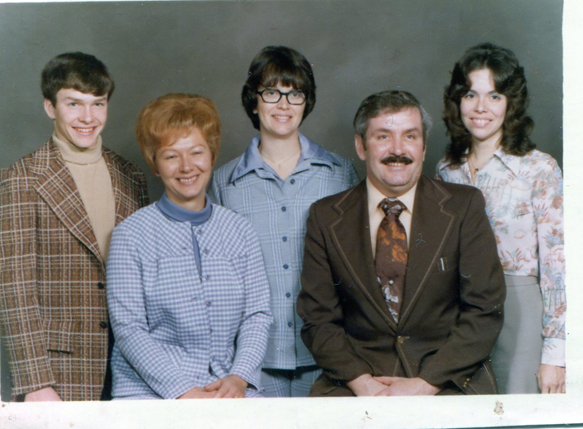 Finally, her mother let her stay with her in Lansing and Jeanie began attending Sexton High School. Is this starting to sound familiar? Of course, we know the story well. We know how one night Bruce and Duane were cruisin’ Benny’s Drive-In when they spotted Jeanie and a friend. The friend turned out to be Carol. And that’s how Jeanie and Carol became not only best friends but also sisters-in-law. Over the years Jeanie worked a variety of jobs, part time positions while her children were younger and full time when they were older. 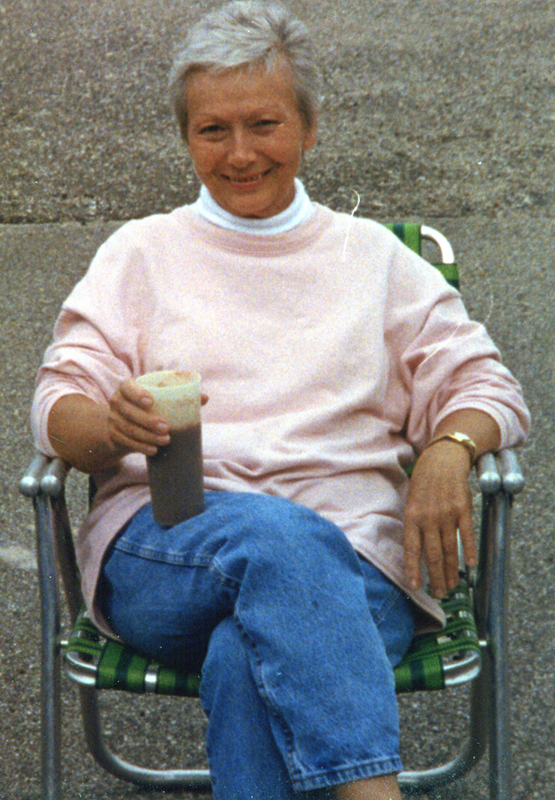 Outside of work, Jeanie loved cooking, home decorating and was an excellent housekeeper. And she loved shoes! Vicki also says the very best gift her mother gave her was the ability to take a 20-minute nap. 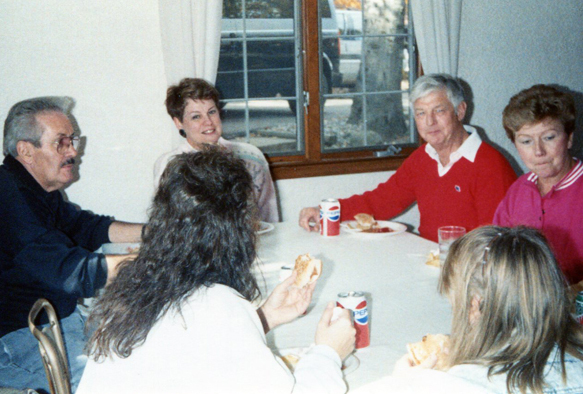 Perhaps one of the most special things about Jeanie was her way of bonding the Amos family. Remember how the Amos Boys’ wives set a precedent of getting along? Decades later, after 26 years of marriage, Bruce and Jeanie would divorce. But they too got along and cared for one other even when they both remarried. In 1991, when she was only 57, Jeanie was diagnosed with breast cancer. Jeanie died on December 20, 1997. 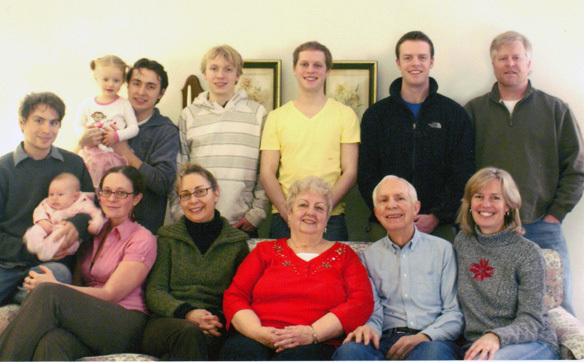 The Amos family has a void without her. What a very special woman she was. 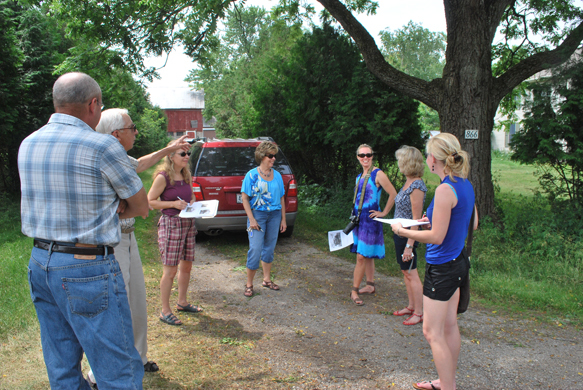 Planning the Laing family legacy tour and reunion are, from left, Duane of Corunna; Shelley of St. Johns, daughter of Bruce; and Jerry of Lansing. 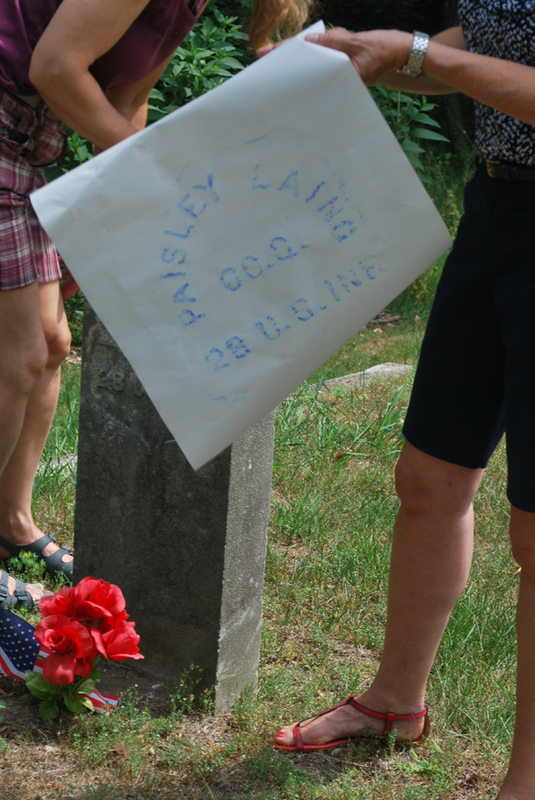 Four generations of Peter Laing descendants will gather in Laingsburg on Saturday, June 16, to revisit historical sites meaningful to his legacy. 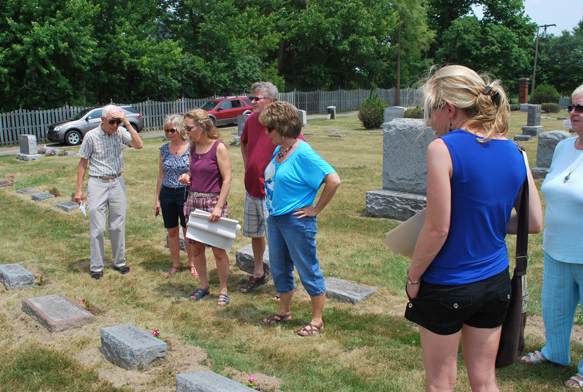 The group will meet at Cinders Grill at 9 a.m. and then take a road tour past family homes, churches and cemeteries in Shiawassee and Ingham Counties. “Dr. 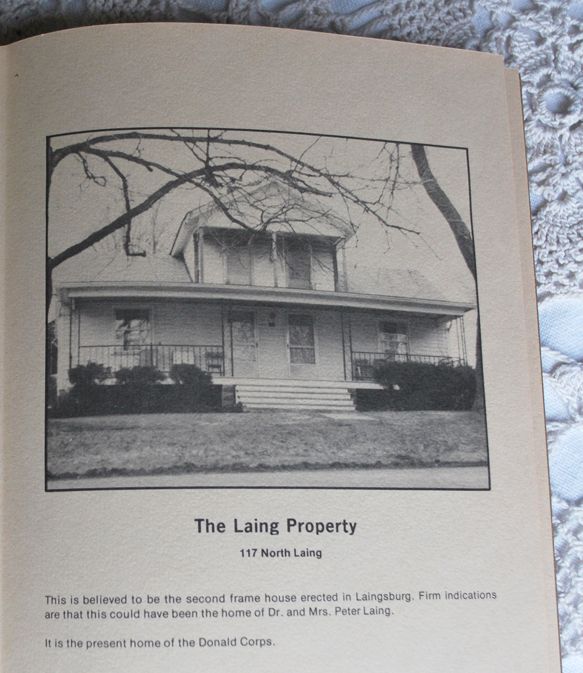 Peter Laing and his family came to Michigan from Sarasota County, New York in 1833, settling first in Ann Arbor, where he practiced medicine. 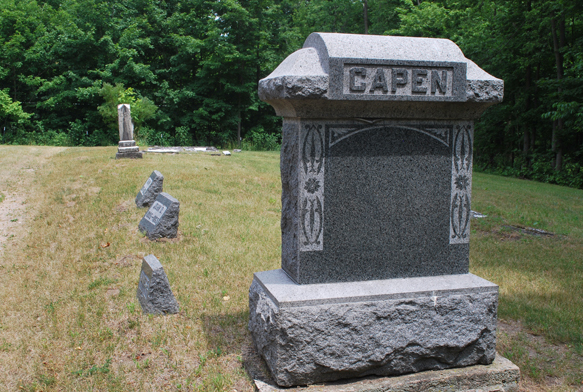 Following the death of his wife a few years later, he set out with his son William and son-in-law Mason Phelps, and took up land claims in Sciota Township, on the Grand River trail. Peter erected the first building in the township and opened a tavern, which soon became a popular stopping place along the trail. 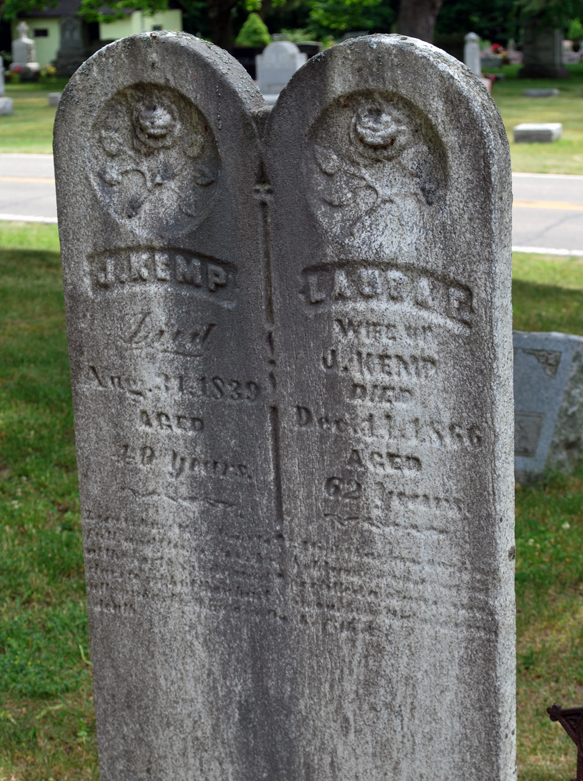 Dr. Laing later petitioned to open a post office at the tavern, and at his request the settlement was called Laingsburg,” adds Ed Buskirk, Laingsburg News editor. 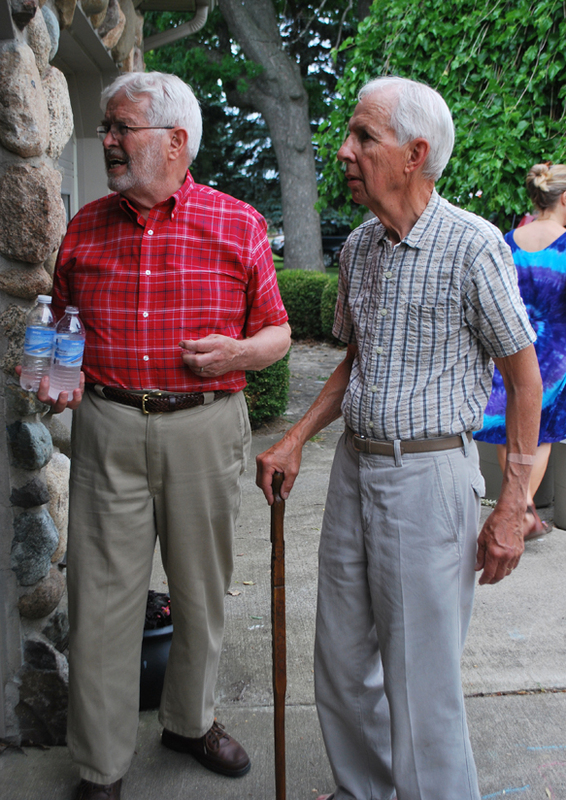 The legacy tour is part of an Amos family reunion for brothers Duane, Bruce and Jerry Amos, who are great-great grandsons of Dr. Laing. 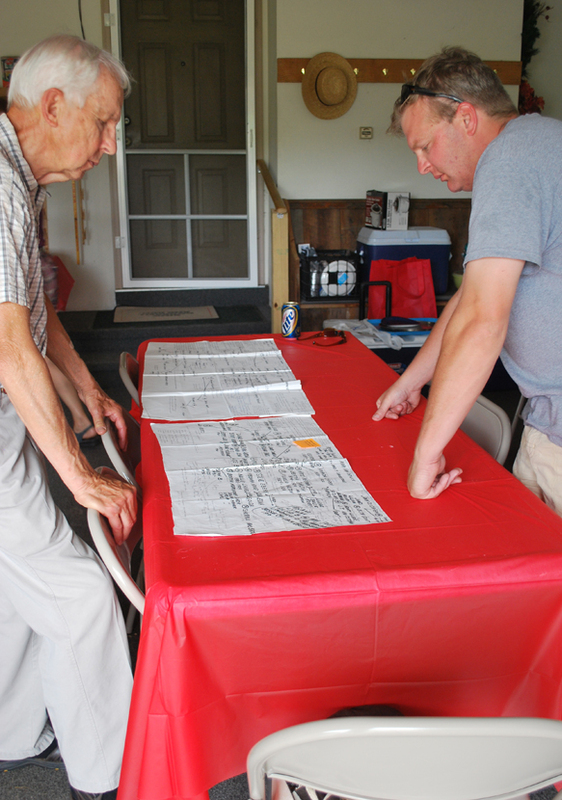 Since January, the brothers have been meeting weekly via telephone conference calls and their conversations have sparked a renewed interest in the Laing and Gulick family histories. See you tomorrow folks! It’s going to be so fun! The reunion! It’s next weekend, folks! Are you getting excited?!! As you know, the big event is at Duane and Jan’s house (I’m emailing information) and since many of us haven’t seen each other in a while, it’s very possible you haven’t met Jan. So this week, let’s get to know the very lovely Jan, who has blessed our family for the past 11 years and who also is celebrating an upcoming birthday! 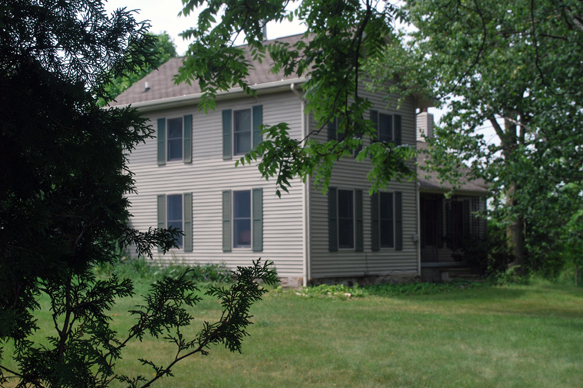 The family all lived together on 120 acres located between Bridgeport and Frankenmuth. 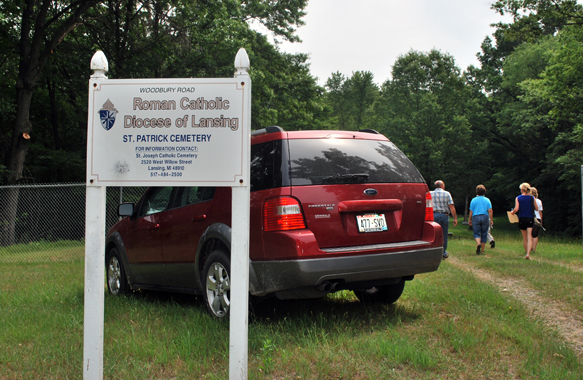 Her great grandfather, a German immigrant, settled with other German families in this area east of Saginaw and set up farming, built log cabins and established the Lutheran church Jan’s family still attends. 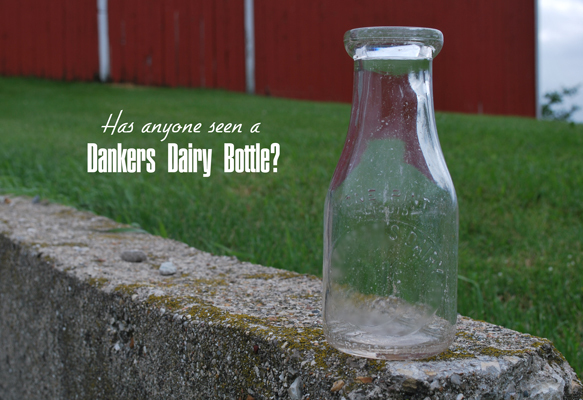 An elusive quest thus far for Jan has been to find a Dankers Dairy milk bottle. Hey folks, keep your eyes peeled for one! 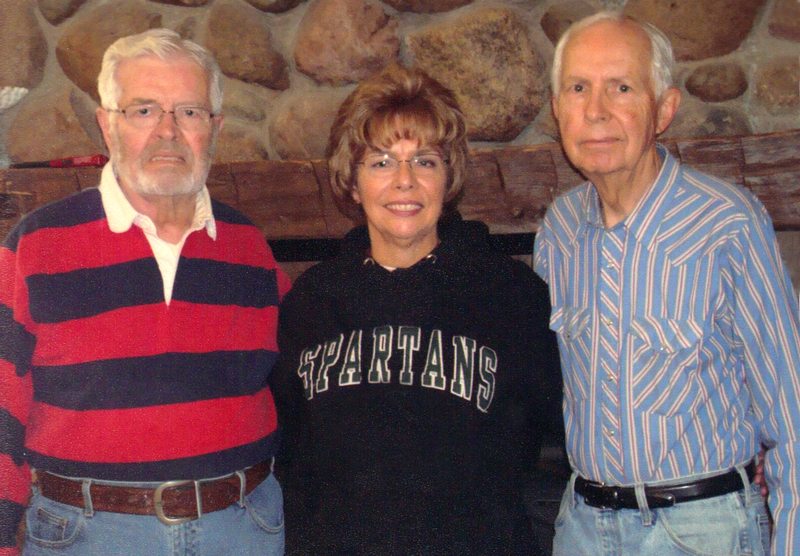 After graduating from Saginaw High School, Jan began studying elementary education at Michigan State University. Yes, those who know her, have no doubt of Jan’s Spartan loyalties—green is truly her color of choice! Two weeks after she graduated from college, she married her husband Ron on New Years Day, 1966. 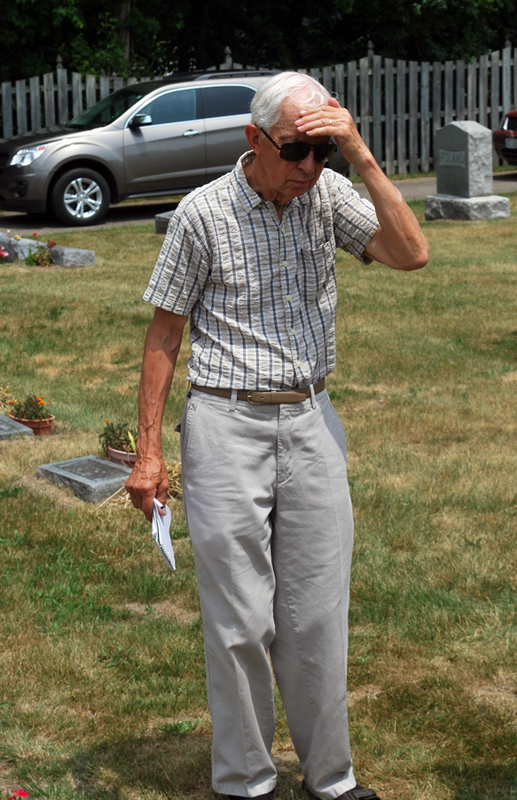 In 1973, Ron took a position as a pharmacist at Owosso Memorial Hospital, and later as the director of pharmacy. 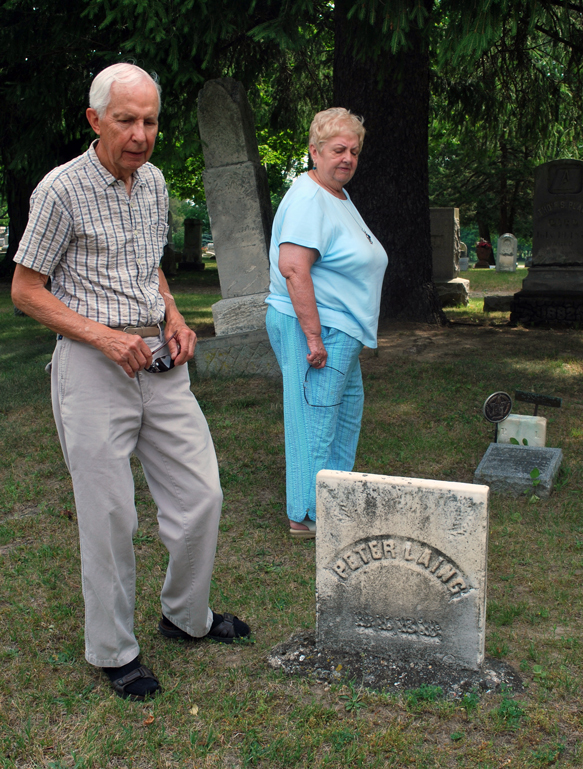 Here in Owosso, the Wyatt and Amos families began to cross paths. 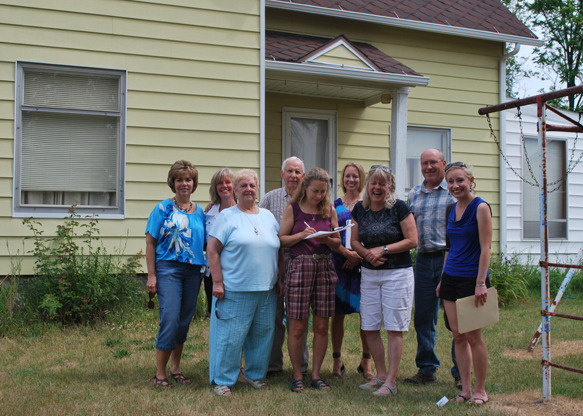 Ron and Jan bought a house on Garrison Road, around the corner from Duane and Carol’s. 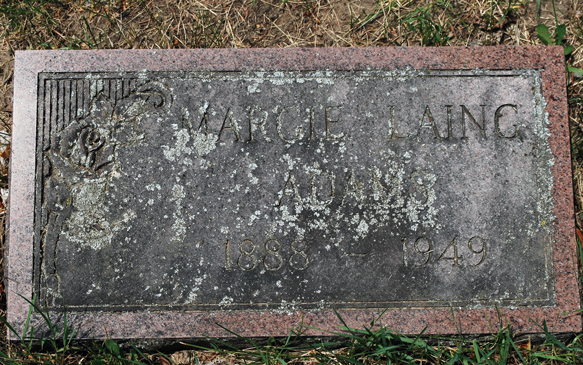 The Wyatts joined Salem Church and sent their children to Salem School, where the Amos’s also attended. You know, sometimes in our lives God has seemingly hard-to-understand ways of making things happen. That’s how it’s been for Duane and Jan. 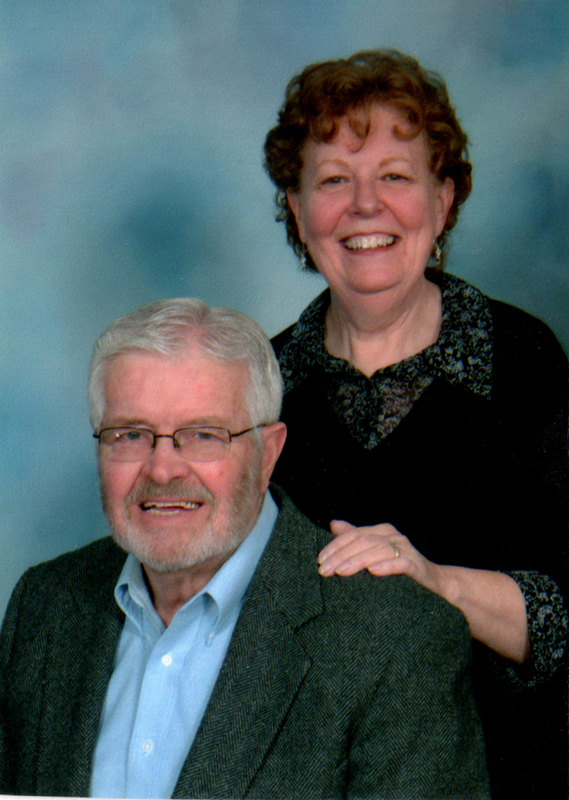 In May 1995, Jan’s husband Ron was diagnosed with non-hodgkins lymphoma. 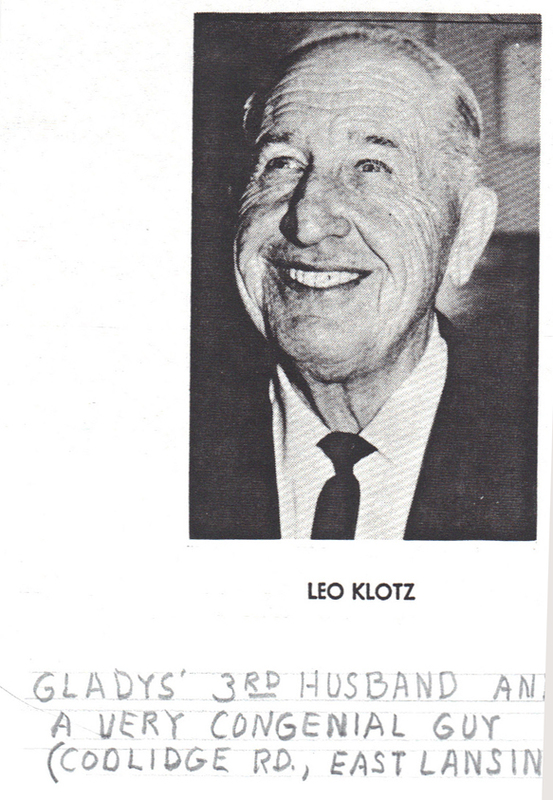 He passed away in March 1996, just ten months later. 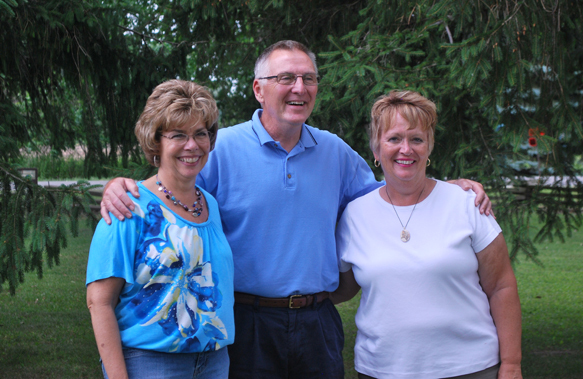 In 1996, Duane’s wife Carol was diagnosed with ovarian cancer. 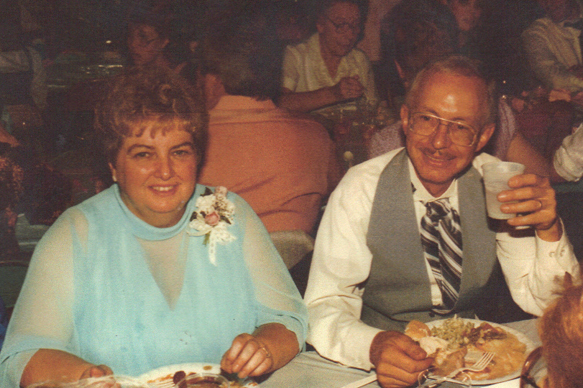 For three years, Duane and Carol battled her disease, but in August 1999, she passed away. 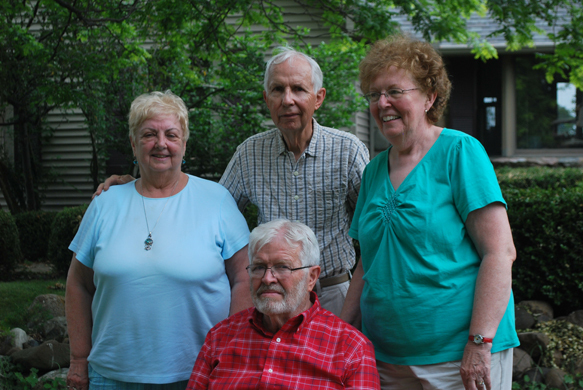 These days, besides putting up with Duane (sorry, Dad, I have to interject with some Amos Boys’ humor), Jan is also the wonderfully involved mother to her four children, who live in southern Michigan, Illinois and Wisconsin. 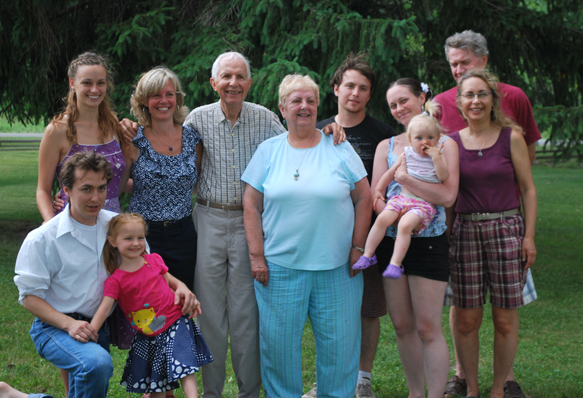 She’s also a doting grandmother to Hannah, 15, Peter, 13, Jack, 2, and a new baby girl, due one month from our reunion. So here you have it, as Jan says. It’s been said in our family that the prince married the princess. This year, the princess—Elaine—is having her birthday on a special day. 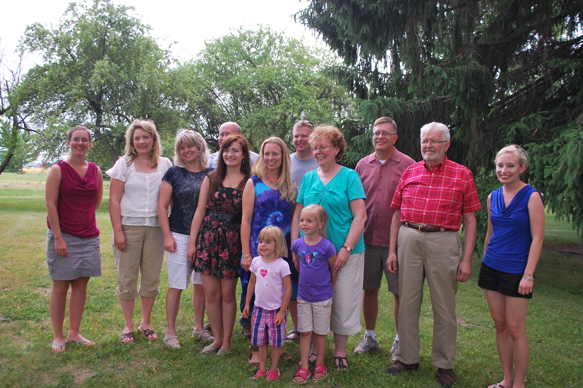 It’s the same day as our family reunion! And because some of you attendees may not know Elaine, or those of us who do, may not know her as well as we think, this week’s post is dedicated specially to her. Back on June 16, 1936, when Jerry was just a few months old, a baby girl was born to Norris and Inis (Franklin) Hotchkin, of Lansing. They named her June Elaine, and she immediately decided to go by Elaine. 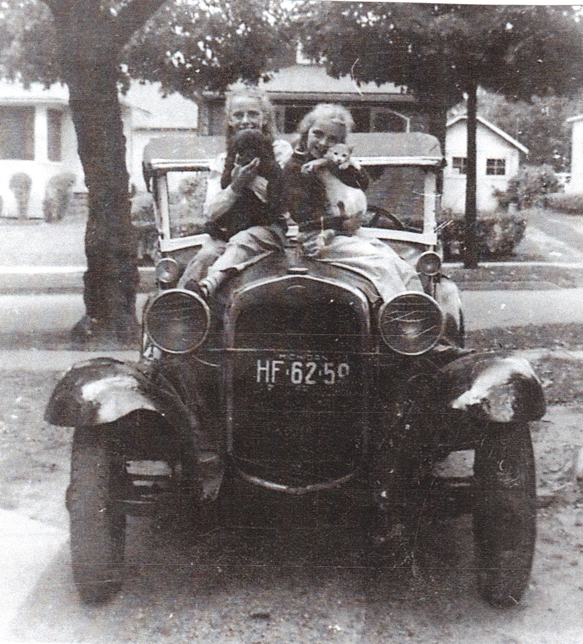 Elaine had two brothers; Norris, Jr., who was 11 years older; and Don, who was eight years older. 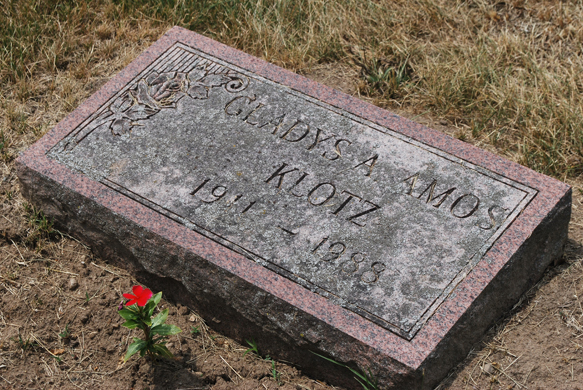 Elaine’s dad worked as a toolmaker for Lansing’s Oldsmobile. Her mother was a housewife. Growing up, Elaine had a busy life with all her neighborhood friends, of which she was still the youngest. She talks about playing the same games the Amos Boys did (although surely in a more respectable manner)—games like Kick the Can, Hide and Seek, Ante I Over (throwing a ball over a garage roof and running around both sides to catch it) and softball. If we remember back, Jerry told us he met Elaine at a junior high dance. Elaine tells us more. “When I met Jerry we were in the seventh grade. 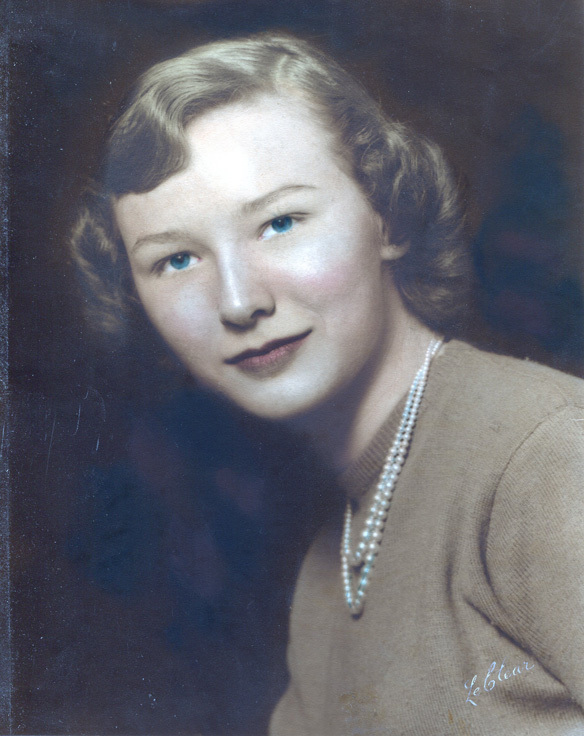 It was April, and the YWCA in downtown Lansing had Friday night teen dances,” recalls Elaine. “A girlfriend of mine from my neighborhood and I went. 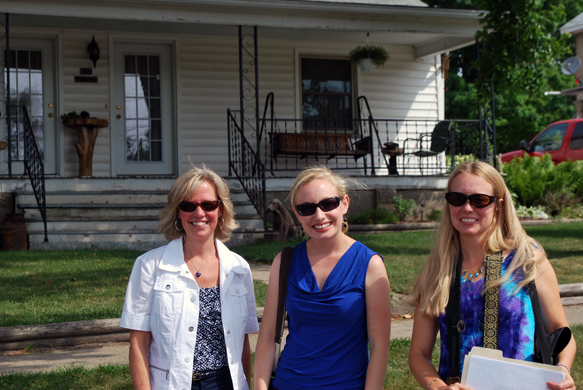 It was a time when girls could walk safely the almost-two miles from my home to the YWCA. From then on, the Hotchkin household took on a new fixture—Jerry. Those who know Elaine, know her as one of those industrious, go-to women—if you want a job to get done, you go to her. Apparently, this started way back in high school. When she was 16, she started working for a dry cleaner, first behind the counter and later in bookkeeping. She also worked in her high school’s co-op program. 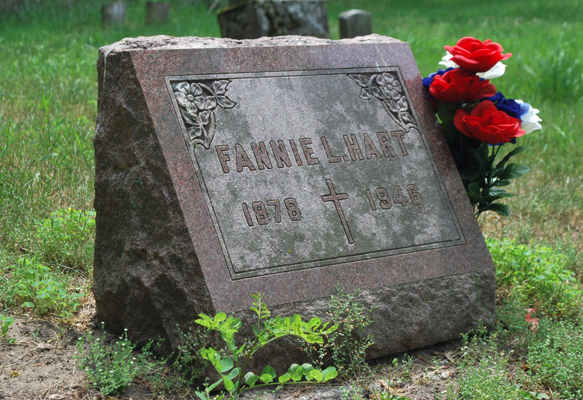 After high school Elaine worked as a payroll clerk for the Lansing board of education. 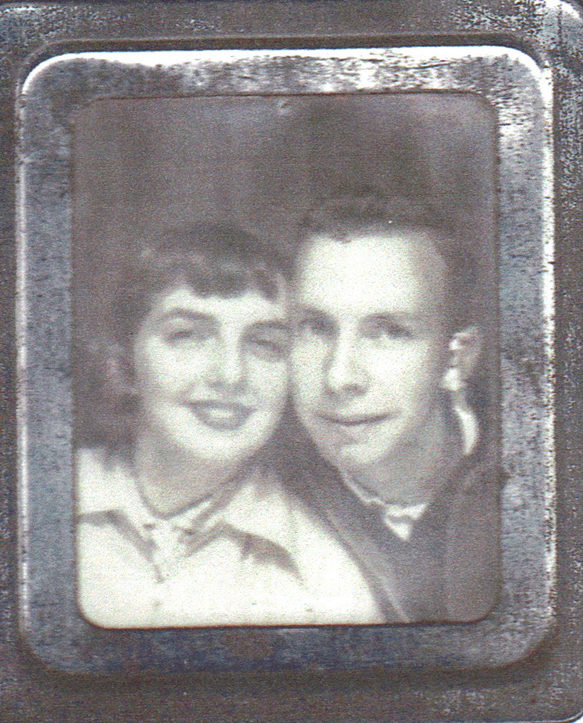 She and Jerry were married in 1957, and she continued working there while he finished his senior year at Michigan State. And then came the girls! In 1959, Jerri Lynn was born. In 1961, Jennifer was born. Elaine began her career as a stay-at-home mom and no longer worked outside the home. “I should say I did not work for a paycheck,” says Elaine (she says this in an email, but I can picture her laughing). 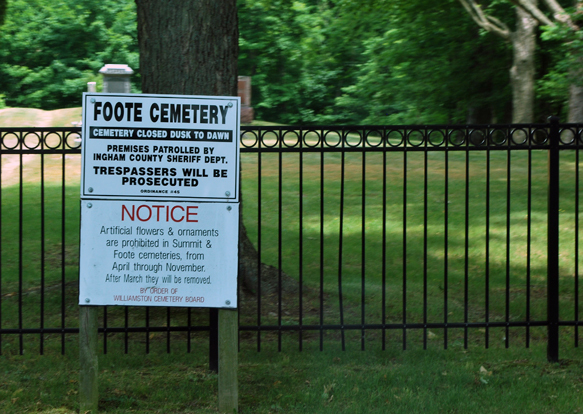 For many years she served on the township park board, where she was secretary, treasurer and president. She scheduled activities. 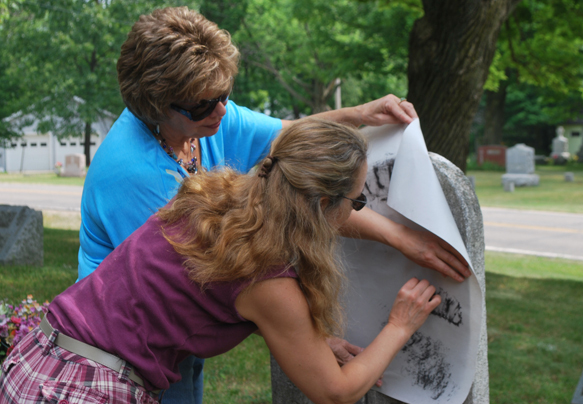 She helped acquire a federal grant to develop a park over a former landfill. And she was chairman of the Labor Day Chicken Bar-B-Que, complete with games, beer tent and music. And then there were the Girl Scouts! Once again, Elaine got the job done. 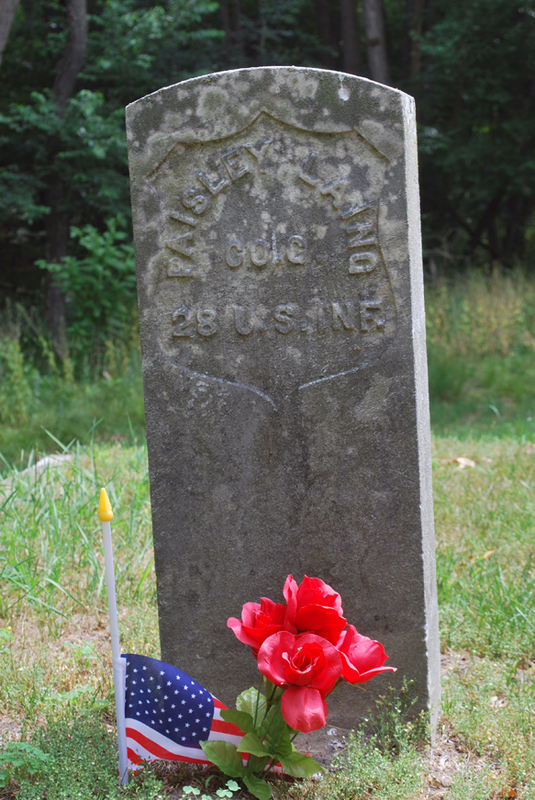 Over the years her troops raised money for a trip to Chicago and another to historical sites out east. They also went camping several times a year, where the girls learned the fine art of outdoor living. When Jennifer went to college, Elaine went to work (like, duh, what had she been doing all those years?) She took a paying job with a moving company, where she worked for 25 years as a bookkeeper and many other roles. So what’s with the prince and princess bit? When I talked with Elaine on the phone, she mentioned a thought she and Jerry had together. Looking back, Jerry also was a youngest child. And being the only one of the Amos Boys to live with his maternal grandparents, he was the sole recipient of their doting (albeit sometimes drunken) attentions. Nowadays Elaine enjoys being a mom, grandma and great-grandma. She and Jerry have this awesome family together, some who live in the area and some in Chicago, and they maintain a wonderful closeness with all of them. This princess has accomplished her life’s goal and so much more.